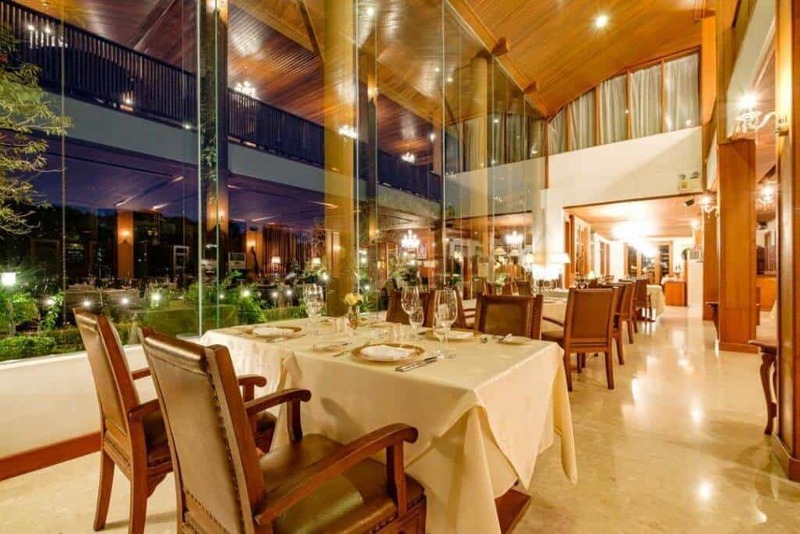 Le Crystal Restaurant is the most excellent French cuisine offered by experienced chefs the heart of Chiang Mai. The restaurant is no stranger to awards and has been a Thai publication’s recipient of the ‘Best French Restaurant’ award for ten years running. Le Crystal Restaurant is the most excellent French cuisine offered by experienced chefs the heart of Chiang Mai. Le Crystal Restaurant is a widely regarded French restaurant, sat in a prime position overlooking the river Ping, Chiang Mai. The restaurant is an exquisite blend of contemporary cooking and European dining, all taking place in the gloriously traditional setting of a conventional Lanna-style teak building. The restaurant incorporates Thai culture in a modern environment, serving the perfect combination through their diverse and creative menu. Outdoor seating is perfectly framed by picturesque gardens and the river Ping, bringing romantic and intimate dining opportunities to their sizeable outside terrace. The restaurant regularly hosts live music, singers and bands and offers the perfect venue for birthday, wedding and large celebratory events. The restaurant is no stranger to awards and has been a Thai publication’s recipient of the ‘Best French Restaurant’ award for ten years running. Alongside authentic French cooking, innovative menus and excellent ingredients, the restaurant also boasts an exceptional in-house wine cellar, bringing the most excellent paired wines to your French dining experience. Special events and buffets are often offered, alongside free transportation (subject to availability) within the city limits.